“After” — (Romance, PG-13, 106 minutes). A guarded woman with high ambitions for her future falls in love with a mysterious rebel. 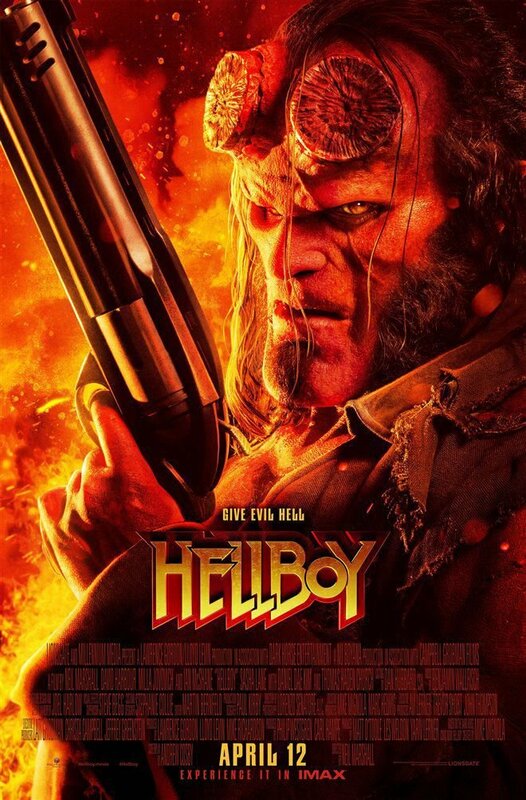 “Hellboy (2019)” — (Action, R, 120 minutes). Hellboy must battle an ancient sorceress while trapped between the worlds of supernatural and human. 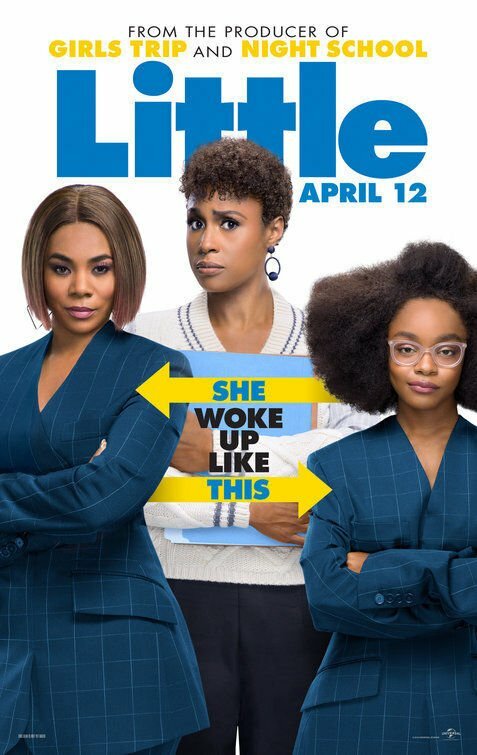 “Little (2019)” — (Comedy, PG-13). When the pressure of adulthood is too hard, a woman is transformed into her younger self. “Mary Magdalene” — (Drama, R, 120 minutes). Mary flees her arraigned marriage and finds refuge in a new movement led by Jesus. “Mia and the White Lion” — (Adventure, PG, 98 minutes). A young girl becomes friends with a lion club when her family moves from London to Africa. “Missing Link” — (Animation, PG, 95 minutes). Mr. Link and two friends set out to find Mr. Link’s relatives in Shangri-La. “Ben-Hur” — (Adventure, G, 220 minutes). 60th anniversary presentation. 1 p.m. Sunday. (Cinemark Tinseltown, Cinemark Carefree, Regal Interquest); 6 p.m. Wednesday. (Cinemark Tinseltown, Cinemark Carefree). 1 and 6 p.m. Wednesday. (Cinemark Tinseltown, Cinemark Carefree, Regal Interquest). “Hands on a Hardbody” — (Documentary, PG, 98 minutes). Contestants compete in a sleep deprivation contest to win a brand new Nissan Hardbody truck. 6 p.m. Monday. (Edith Kinney Gaylord Cornerstone Arts Center, Colorado College, Screening Room. “Noah” — (Inspirational, G, 119 minutes). Experience the Bible story. 6:30 p.m. Thursday. (Cinemark Tinseltown, Regal Interquest); 12:55 p.m. Saturday. (Regal Interquest). “The Aftermath” — (Drama, R, 108 minutes). Grace: C, Katie Walsh. Living in Hamburg after World War II during the post-war reconstruction, a British colonel and his wife are having trouble with the German who previously owned the house they are living in. “Alita: Battle Angel” — (Action, PG-13, 122 minutes). Grade: C, Katie Walsh. A cyborg battles to change the world while trying to discover the truth about her past. “The Beach Bum” — (Comedy, R, 95 minutes). Grade: C, Michael Phillips. Follows the life of a rebellious stoner. “The Best of Enemies” — (Drama, PG-13, 133 minutes). Grade: D+, Katie Walsh. An outspoken civil rights activist and a Ku Klux Klan leader face off over school integration in North Carolina. “Captain Marvel” — (Action, PG-13, 162 minutes). Grade: B-, Katie Walsh. Captain Marvel is caught in the middle of a galactic war between alien races. “Cold Pursuit” — (Action, R, 118 minutes). Grade: A-, Katie Walsh. A vigilante snowplow driver seeks revenge against the drug dealers he thinks killed his son. “Dumbo (2019)” — (Family, PG, 112 minutes). Grade: C, Katie Walsh. Dumbo, a young elephant who can fly because of his oversized ears, saves a circus that is struggling. “Five Feet Apart” — (Drama, PG-13, 116 minutes). Grade: A-, Katie Walsh. Two teenagers with cystic fibrosis meet in the hospital and fall in love. “Hotel Mumbai” — (Drama, R, 123 minutes). Grade: A-, Katie Walsh. The story of the terrorist attack on the Taj Hotel. “How to Train Your Dragon: The Hidden World” — (Animation, PG, 104 minutes). Grade: A, Katie Walsh. Hiccup, along with Toothless, must find the hidden world before Grimmel finds it first. “The Lego Movie 2: The Second Part” — (Animation, PG, 106 minutes). Grade: A, Katie Walsh. Emmet, Lucy and Batman must try to stop Lego Duplo invaders. “A Madea Family Funeral” — (Comedy, PG-13, 102 minutes). A family reunion becomes a nightmare for Madea and the crew when they find themselves planning a funeral that may unveil family secrets. “Miss Bala” — (Action, PG-13, 103 minutes). Grade: B-, Katie Walsh. A woman fights the drug cartel to save her kidnapped friend. “The Mustang” — (Drama, R, 96 minutes). A violent convict has the opportunity to train wild mustangs in a rehabilitation therapy program. “Pet Sematary” — (Horror, R, 107 minutes). A family moves to Maine and discovers a burial ground near their home that unleashes a horrible evil. “Shazam!” — (Action, PG-13, 132 minutes). Grade: A-, Terry Terrones. With just one word, a 14-year-old can turn into the adult superhero Shazam. “Unplanned” — (Drama, R, 106 minutes). A Planned Parenthood clinic director fights for a woman’s right to choose until she sees something that changes her mind. “The Upside” — (Comedy, PG-13, 125 minutes). Grade: C, Katie Walsh. The story of a wealthy quadriplegic and his friendship with a parolee who becomes his caretaker. “Us” — (Horror, R, 116 minutes). Grade: A+, Justin Chang. A family fights to survive when they are terrorized by strangers who look just like them. “What Men Want” — (Comedy, R, 117 minutes). A sports agent can hear men’s thoughts and gains the edge over her rude colleagues. “Wonder Park” — (Animation, PG, 85 minutes). Grade: C, Katie Walsh. The imagination of a creative girl named June comes alive at a amusement park.